Joy Battery is committed to provide the best service for our customers; we really care about the quality of our products and satisfaction. Please feel free to contact us, your experience, opinions and advice; we are here to listen or to help you when needed. Many common Tech and Usage questions are already answered within our site. Please see the FAQ, Specifications and Install Guides before submitting tech questions via our online contact form. We have the experience, capability, and R&D resource to make any OEM&ODM integration a glowing success! Large is an extremely versatile power bank manufacturer with the ability to bring your concepts and ideas into viable solutions. We work with individuals and companies at all stages of design and manufacture, from concept to finish, in a highly focused effort to bring Industry level products and services to you. 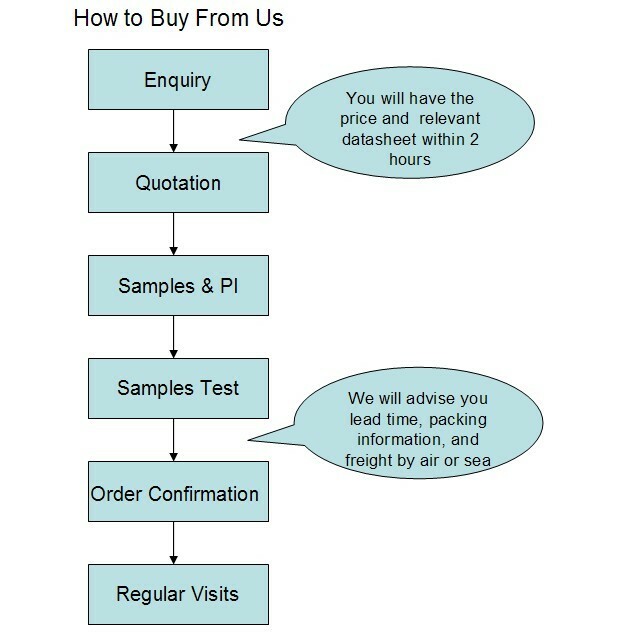 Once customer provides us with concept information and detailed specifications, we will notify them of the total cost for design, prototyping, and estimated cost per unit before the project begins. Large will work with customers until they are satisfied and all original design requirements are met, and the product performs exactly to customers’ expectations. 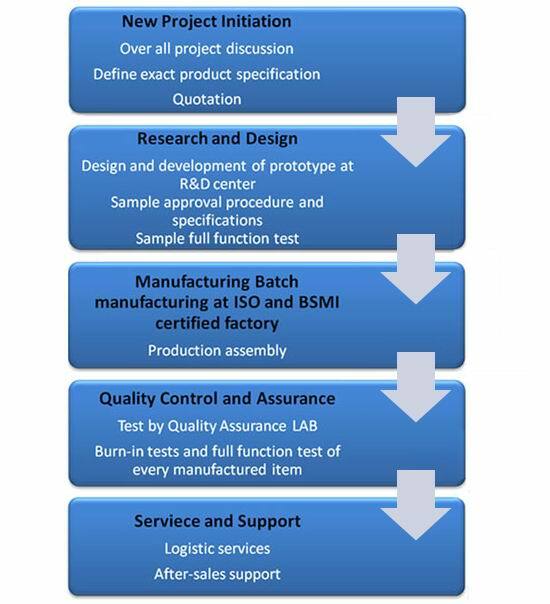 Our R&D team approach allows us to be ahead of our competition in product development cycle time without compromising quality. Large is committed to delivering quality solutions to our customers through our OEM & ODM services. We are an expert in our field, as you are with yours. Large is committed to serving global solution integrators with flexible custom-made designs and manufacturing services. Delivered straight from our corporate OEM & ODM Team, the products benefit our clients by lower manufacturing costs as well as a shorter lead-time for product development. How to select the correct battery pack? B,What is its power consumption ( Wattage ) ? C,What is Maximum current drain ( A) ? D,What is your expected running time by a battery pack ? Battery pack voltage must be equal or a little higher than your device’s need. 1000 mAh = Ah, higher mAh will provide longer running time. Before order battery pack, you must pay attention on battery pack’s Max. discharging rating on the specification or description. Please don’t think any battery can take any current drain. You shall know your device’s max. discharging current. If you don’t know , you must measure it by a multi-meter. Plastic composite film packaging protection: avoid and stabbed damage by sharp parts. To check often to clean up the environment around the battery, to ban sharp parts in contact or collision batteries, wear gloves can access fingernail scratch the surface of the batteries. Top edge banding and side Edge Protection: batteries must be designed to take the reliable insulation quarantine measures to avoid negative and aluminum-plastic composite film short circuiting to avoid the top Edge and the side edge banding damaged, destroy the sealing effect, not bend top Edge and side edge banding. Avoid mechanical shock, such as fall, blow, bending batteries and careless trample on the battery. Prohibit the use of metal objects, electrical short circuit to connect the positive and negative. How is a lithium battery different from an alkaline battery? Batterychemistry and construction differ in the two systems. Since lithium is a very active material, it provides a great deal of power relative to the amount of material used in a battery. The lithium discharge curve is longer and flatter than alkaline, providing a consistently higher voltage throughout the life of the battery. There are several important differences. The practical difference between Lithium batteries and Lithium-ion (Li-ion) batteries is that most Lithium batteries are not rechargeable but Li-ion batteries are rechargeable. From a chemical standpoint Lithium batteries use lithium in it's pure metallic form. Li-ion batteries use lithium compounds which are much more stable than the elemental lithium used in lithium batteries. A lithium battery should never be recharged while lithium-ion batteries are designed to be recharged hundreds of times. Lithium-ion batteries have several advantages: They have a higher energy density than most other types of rechargeables. This means that for their size or weight they can store more energy than other rechargeable batteries. They also operate at higher voltages than other rechargeable, typically about 3.7 volts for lithium-ion vs. 1.2 volts for NiMH or NiCd. This means a single cell can often be used rather than multiple NiMH or NiCd cells. Lithium-ion batteries also have a lower self discharge rate than other types of rechargeable batteries. This means that once they are charged they will retain their charge for a longer time than other types of rechargeable batteries. NiMH and NiCd batteries can lose anywhere from 1-5% of their charge per day, (depending on the storage temperature) even if they are not installed in a device. Lithium-ion batteries will retain most of their charge even after months of storage. So in summary; lithium-ion batteries can be smaller or lighter, have a higher voltage and hold a charge much longer than other types of batteries. How to store the battery when not protected? Redox reactions, leading to leakage and reduce the battery life of the battery will be exposed to the air and the moisture in the air. Temporarily unused battery should be how to store it? Can light a candle, the wax evenly on the negative terminal of the battery, then place them in a dry, well ventilated place. Solidification of the wax, played a role of insulation and prevent air contact with the negative terminal of the battery, can effectively avoid battery leakage. Before using the battery, as long as the nail gently pull out the candles on the battery negative film on it. Over-discharge protection. Over-discharge protection IC principle: in order to prevent over-discharge of lithium batteries, lithium battery connected to the load assumptions, when the battery voltage is lower than the over-discharge voltage detection point (assumed to be 2.5V) will start over-discharge protection, so that by the power MOSFET open cut into cut-off discharge, in order to avoid excessive battery discharge phenomenon, and will keep the battery in a low quiescent current standby mode, where the current is only 0.1uA. When the lithium battery connected to the charger, and lithium battery voltage is higher than the over-discharge voltage, over-discharge protection be lifted. Short circuit protection. Short-circuit protection IC works: When faced with lithium battery short circuit, current will flow through the protection IC increases rapidly when the current is large to the set value, the protection IC closed switch opens immediately cut off access, in order to achieve protection. Timely charge, pay attention to the charging environment ，every day charge, regularly deep discharge. Each battery should have the packaging, the package should be accompanied by the product manual. Packaged products should be stored in a dry, dust, moisture box. The outside of the box should be marked on the product name, model number, gross weight, the manufacturer, date of manufacture, should "handle with care", "I'm afraid wet", "up" the necessary signs, Packaging - Pictorial signs should be consistent GB 191 requirements. The battery should be packed into boxes for transport, during transport should prevent excessive vibration, shock, or extrusion to prevent sun and rain, you can use cars, trains, ships, aircraft, road and sea transportation. The battery should be stored at an ambient temperature of -5 ° C to 35 ° C, relative humidity less than 75% of the clean, dry, ventilated room, should avoid contact with corrosive substances should be kept away from fire and heat.